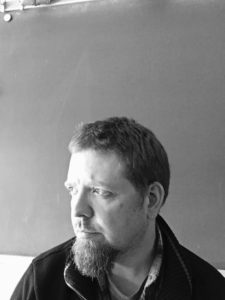 Andy Fogle (Saratoga Springs, NY) is the author of five previous chapbooks of poetry, most recently The Last Apprenticeship (White Knuckle Press) and The Neighborhood We Left (Finishing Line Press). Other poems, including co-translations with Walid Abdallah of Egyptian poet Farouk Goweda, have appeared in Image, Mid-American Review, Blackbird, South Dakota Review, Natural Bridge, RHINO, Still: The Journal, and elsewhere. His nonfiction including memoir, interviews, criticism, and educational research has been published in The Writer’s Chronicle, Teachers & Writers Collaborative, English Journal, Gargoyle, Popmatters, and elsewhere. He was born in Norfolk, VA, raised in Virginia Beach, spent 13 years in the DC area, and now lives in Saratoga Springs with his wife and two children. He earned an MFA in Creative Writing from George Mason University, is working on a PhD in Curriculum & Instruction at SUNY Albany, and after 20 years educating in a variety of settings with a wide range of students, currently teaches full-time in the English Department at Bethlehem Central High School and intermittently at Skidmore College. Andrea Fry (Manhattan, NY) was born in Dallas, raised mainly in NYC and the Catskill Mountains, and educated at Union College and Columbia University. She published her first collection of poems, The Bottle Diggers, in May 2017 (Turning Point Press). She was nominated for a Pushcart Prize for her poem, “Murder” which was published by J Journal. She was a finalist in Georgia College’s Arts & Letters Prize 2010 contest, a semi-finalist in the 2010 Gulf Coast Prize in Poetry, and a semi-finalist in River Styx 2010 International Poetry Contest. 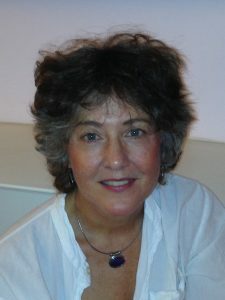 Her poems have appeared in journals such as Alaska Quarterly Review, Ars Medica (University of Toronto Press), Barrow Street, Cimarron Review, The Comstock Review, Graham House Review, Reed Magazine, Stanford Literary Review, St. Petersburg Review, and the chapbook Still Against War, Poems for Marie Ponsot. Andrea is also a nurse practitioner at NYU Langone Medical Center. She lives in Manhattan with her husband and two formerly feral felines. Website: www.andrealfry.com.